High Quality Content by WIKIPEDIA articles! 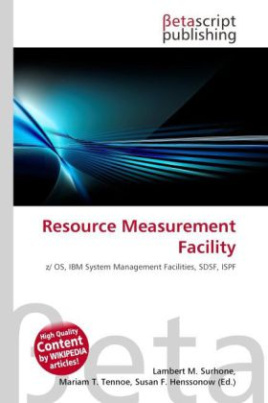 Resource Measurement Facility (RMF) is a performance monitor for the z/OS Operating System. It also collects data for long term performance analysis and capacity planning.RMF is significantly enhanced with every release of the z/OS Operating System that is approximately once a year with other enhancements occurring in support of new hardware, such as new processor models.